Have you stopped making New Year’s Resolution because you feel like “they always fail”? 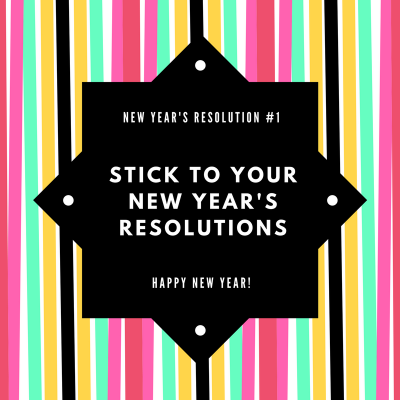 Or do you make one knowing deep down that you likely won’t accomplish it, or are you recycling the same resolution year after year? A smart and simple way to prepare your food in a healthier way is to use basic cooking techniques such as baking, braising, grilling, roasting, broiling, poaching, sautéing, stir-frying and steaming. Some of these terms might seem daunting, but they are all fairly simple to use once you learn more about the cooking method. 1. Try to eat several times a day. It is recommended to eating every 3 to 4 hours, which generally means having 3 meals and 2 or 3 snacks per day. Following a regular eating schedule provides your body and brain with a steady supply of energy throughout the day. The best diet is rich in complex carbohydrates (whole grains, beans, fruits and vegetables), with lean proteins and unsaturated fats. 2. Limit sweet and sugar-containing foods to 1 or 2 per day. Replace refined sweets with more nutritious sources of carbohydrates like fruit, yogurt mixed with fruit, popcorn, whole grain crackers, veggies with salsa. For nutrition tips you can trust subscribe to our mailing list! Gina Hassick, MA, RD, LDN, CDE, NCC writes about evidence-based nutrition information to debunk nutrition myths, answer questions, and question the latest fad. Have a topic in mind? Contact Gina! Click here to view our featured videos! Gina values transparency and ethics in nutrition writing and reporting. The news, reviews and recommendations you read here are independent unless clearly declared. You have the right to know if any ‘freebies’ including product samples have been provided to the writer of a post. Gina does not engage in business with companies whose products or services do not match her personal and professional beliefs.